No one knows the precise origin of the Karnsteins, although they were first mentioned in the (now lost) Styrian Chronicles in 1187 CE [Lust for a Vampire motion picture]. Even the name remains a bit of a mystery. It may refer to cairn, i.e., a collection of stones used to mark a grave, or to the German word for carnivore. But the family's reputation for evil and decadence remains certain—albeit not completely deserved. Many Karnsteins seem to have been ordinary persons, untainted by the worst of their kin. Still others dedicated their lives to fighting demonic evil. In fact, more than one Karnstein's evil career came to an end because some other family member brought them to justice. In their day, they spread nearly as far as the Oldenbergs or Bourbons. Branches took root in their native Styria, in neighboring Hungary, in Spain, as well as Italy. Scions of that house found their way to England, and eventually to the New World. These days the name may be extinct, but the blood, that continues still. Indeed, circumstantial evidence suggests that among their relatives would be none other than the Van Helsings! Yet who can deny their zenith is long past? That hour of history would seem to have been in the 17th and early 18th centuries. A peculiar practice of that era involved naming the girl children. Many such ended up with anagrams of Millarca, including Marcilla, Carmilla, and of course, Mircalla. Such did no help to any historian! Yet an overall pattern does emerge. For the House of Karnstein, the beginning of the end occurred in 1710 when Prince Prospero of that house--a man who in the words of one chronicler "out-Heroded Herod"--sought to avoid a terrible plague, a pestilence known as the Red Death [The Masque of the Red Death by Edgar Allan Poe]. He walled himself and a coterie of friends inside an abandoned monastery, one outfitted for all manner of luxury and indulgence. What neither he nor any of his guests suspected was the truth. Plague? There was no plague. Rather the lands suffered the thirst of an ancient and terrible evil, a vampire whose name is now lost to history. Over two and a half centuries later this creature was destroyed in a tiny American town called Salem's Lot. At that time he called himself Barlow, and boasted of having brought the Roman Empire down by his personal efforts. Yet in the early 1700s his thirst could not be easily quenched, nor could any mere human abode withstand him, no matter how well-built or locked against intruders. Prince Prospero, his guests, and many of his relatives died in a single night, slaking the boundless thirst for human blood of a creature older than Christendom. Some rose from their graves. Others simply rotted. At this point only a tiny few of the main branch of the Karnsteins survived. Within two generations only one pair remained--Millarca IV and her brother Damien. She went to Spain and married a man whom she later murdered [as noted in The Blood Spattered Bride motion picture]. He had, according to legend, demanded of her "unspeakable things." Exactly what happened next is unclear, but paintings of her were destroyed. The castle where she had wed became her haunting ground for the next two hundred years, drinking the blood of those she desired. Her brother Damien fared less well, or better, depending upon how one views it. Obsessed by the occult, he finally committed a human sacrifice in an effort to raise one of his undead ancestors--and succeeded! Mircalla II Karnstein (see Many Ladies, Few Names below) emerged from her tomb to couple and then feed upon him, transforming Count Damien into a vampire. He did not enjoy his immortality long. A band of local witch-hunters caught wind of his activities and stormed mighty Castle Karnstein. The Count was killed, beheaded, and the castle itself looted, partially burned [Twins of Evil motion picture]. Within another dozen years, the Baron Hartog crept into the remains of Castle Karnstein, driving stakes through the hearts of all he could find, in vengeance for the death of his sister at the fangs of a Karnstein [The Vampire Lovers motion picture]. A pattern emerges in the Karnstein family history, that of women who came to worship the forces of darkness, becoming not only witches, but also remarkably powerful vampires. More than once, these women survived their own homicides, lingering in spiritual form until the opportunity to be reborn presented itself. Three in particular stand out. Circa 1480, Countess Wandessa d’Arville de Nadasdy, age 28, was murdered by her lover after discovering she was a vampire. Wandessa had in fact been born a Karnstein and practiced all manner of black magic. The murder weapon was a silver dagger cross, made from the Chalice of Mienza. That it took an actual holy relic to dispatch her--which in the end proved insufficient--gives some idea as to her inherent power. Once the dagger had pierced her heart, she was buried in a remote part of northern France. Her epitaph read "Satan's Favorite Mistress." When accidentally revived in the 20th century by a history student named Elvira, Wandessa lost little time in seducing the young girl and turning her into a vampire [It remains possible the student in question survived the ensuing adventure and became a horror movie hostess in America]. Her next step was an attempt to open the doors between realities, allowing some vastly powerful demonic entity to come through and bring Chaos to the world. This would seem to be the same CHAOS later to prove a foil for Vampirella, and might be identified as the Lovecraftian deity Azathoth. Wandessa herself seems to have been solely attracted to women, which makes it likely the lover who managed to successfully kill such a powerful vampire-witch was one of the mystical line of Slayers [see Buffy the Vampire Slayer t.v. series and novels, etc.]. Wandessa died a second, presumably permanent time at the claws of the werewolf Waldemar Daninsky [Werewolf Shadow motion picture]. Very nearly the same time as Wandessa fell to a silver blade, her younger sister Donia (Baroness Varga) became the first known Karnstein to fall victim to an angry mob of peasants. Like the far-more-famous Count Vlad Tepes Dracula, her cruelty often took the form of impaling those who displeased her upon a wooden stake. At last her home in a remote part of the German mountains fell to a peasants' revolt, and she herself burned at the stake, her ashes scattered. Clearly her death was the work of amateurs, for this allowed the Baroness to influence the world still. Nothing sealed her in her grave, as the silver dagger did Wandessa. Rather, a malign influence in and around the castle ebbed and flowed for centuries. More than one follower/worshiper of Donia became a vampire and had to be destroyed, including a wicked old woman in the 1930s [re: the motion picture Vampyr]. Following the Second World War, the entire area had become deserted, until two young women were lured to the castle in 1969. Donia had had a daughter, who ended up in the care of a loyal servant named Ulla Borisov, who in turn had a daughter the same age. The two young women were direct descendants of the two daughters, and the decadent cult under the control of Donia's spirit brought them together in order to incarnate herself in the flesh once more. She succeeded in possessing one of the girls, but was destroyed by an occult expert whose brother had fallen under the vampire-witch's sway [The Devil’s Plaything motion picture]. Unlike the other two of this list, Sasha Karnstein did not marry. She lived over a hundred years after her forebears, and in fact sprang from the cadet or Hungarian branch of the Karnstein family tree. Her tale was chronicled twice in different motion pictures, each changing all kinds of small details but keeping the basics intact. Yet apart from the peculiar details of the story, which remain identical, other hints clearly show them to be the same story--not least the reference to the silver griffin, which is the heraldic sigil of House Karnstein! Neither film uses her correct name, however. One dubs her Asa, and the other Sera (the former also relocates the story to Moldova in the Russian Empire). Essentially, Sasha Karnstein fell victim to an Inquisitor of the Church, her brother Gregori Karnstein. He discovered her crimes, including the worship of Satan and the practice of vampirism, and oversaw her execution. She leveled a curse upon him and his descendants, vowing to return. He evidently took precautions, nailing an iron mask upon her face and sealing her casket with a cross to hold her there. This was April 23, St. George's Day, 1660 CE. According to legend, exactly one hundred years later she sought to escape her grave, but failed. Masha Karnstein, her physical twin, died that very night mysteriously. At this point something truly strange--but for Sasha, fortunate--happened. One of Dracula's soul-clones, dubbed Mordante (who would later encounter Vampirella), suffered pretty clearly from what we would call bipolar personality disorder. His lair in Transylvania lay near the Borgo Pass, in an abandoned asylum once used as a kind of “blood farm” by Dracula-Prime and/or his get. But Mordante, emotionally unstable, somehow got ahold of some notes by one of the Van Helsing family speculating about Dracula's many appearances. Taking these theories as gospel, Mordante decided he needed to resurrect "Dracula's Daughter" to be fully himself again. Either he himself, or his servants, stole the mummified corpse of Sasha Karnstein, intending to resurrect her in a blood ceremony. However, having fallen in love with the woman whose sacrifice was to be the heart of this ritual, Mordante let her go. Instead, he tossed Sasha's coffin into the river and destroyed the other vampires he had created there [see Count Dracula’s Great Love motion picture]. I date this event to 1909, in terms of how the characters have heard of Count Dracula (making it well after 1897, when Stoker's novel saw publication) but also due to events surrounding the somewhat convoluted life of Mordante (who at one point ended up stranded in his own past). Sasha Karnstein's body was found by a doctor, who soon fell under her power. Although lacking (as yet) a body with which to fully reincarnate, Sasha proved fully capable of killing most of the young females of her despised brother's family, including Tilda, daughter of Franz Karnstein. By this time the Styrian title had gone to the Hungarian branch, by then headed by one Count Ludwig (circumstantial evidence indicates his mother was English, of the same family that gave rise to the Dracula soul-clone known as Denrom). He had two children, Konstantin and Katia. This latter was the physical twin of Sasha. Moreover, she possessed psychic gifts. In her dreams she saw her young cousins dying one by one, saw herself as the guilty party, and began to believe herself somehow damned. A young doctor staying at her father's castle tried to comfort her, but to little avail. Then Sasha's astral form--insubstantial but real to mere human senses--infiltrated the household as a beautiful stranger. Slowly she began to feed upon Katia, initiating the process that would allow her to possess the living girl's body and live again. The young doctor, following clues in the family portraits at the castle, eventually tracked down Sasha's grave, destroying it. He believed he'd saved his love [motion pictures Mask of Satan and Crypt of the Vampire]. He was wrong. Not knowing precisely how to destroy a vampire-witch like Sasha Karnstein, he merely delayed her. Katia married her seeming savior, until the taint within her grew too strong and she consumed his life's blood. Rather than threaten her brother Konstantin and his family (his daughter Carmilla would run afoul of another vampire soon after WWII), Sasha fled to America. There she found a small town called Astaroth, and converted it into her own personal territory. In this she found herself behaving more and more like the long-dead Sasha, even as she changed her name to Lemora [as per Lemora, A Child’s Tale of the Supernatural motion picture]. Under the circumstances, the name of this town seems like anything but a coincidence. More than anything else, the town would appear to be one of the “seeds” created by the Patriarch in the New World, where certain bloodlines congregated—not merely for the richness and pureness of their blood, but also for the capacity to become vampires themselves. Most Karnsteins rarely created other vampires save from members of their own family. This was not a preference, but a reflection of their vampiric nature. It helps distinguish their ‘species’ or ‘type’ or ‘bloodline’ from others. Yet in Astaroth, as in Salem’s Lot, Maine many decades later, the result were mixed. Some (evidence suggests most) converts became little more than fanged zombies, deformed and almost mindless, driven by insatiable hunger. Before long the town became the site of a weird nocturnal civil war. The 1973 film that chronicled a portion of this story noted how "Lemora" became entranced by a girl named Mary Jo, who ultimately died without herself becoming undead. While the film indicates Mary Jo died sometime in the 1890s, in fact she must have died between 1910 and 1920. Sometime before 1933 (the end of Prohibition) another beautiful girl child came to Astaroth, named Lila. Her appearance coincided with the final battle between Lemora's vampires and the revenant-like undead. Lila herself accidentally removed the wooden stake with which Lemora had been defeated, leading to her own victimization. Unlike Mary Jo, she did become a vampire. Parenthetically, it seems more than likely that Lila come to the town of Los Alamos, New Mexico in 1983, where she was responsible for several murders, yet evidently fell in love with a twelve-year-old mortal lad named Owen. They left the small town together. By then Lila, like many undead who move around a great deal, had changed her name, to Abby [as seen in the film Let Me In]. Katia/Lemora, on the other hand, would seem to have taken another name in the interim, that (ironically) of Diana Le Fanu, who lured both men and women into her arms to feed upon their blood. Her lair in the 1970s had become a ranch in the Southern California desert, which made preying upon the swingers of that era so much easier [see The Velvet Vampire motion picture]. Increasingly deranged by the Katia’s memories, she even imagined a dead man buried nearby to be her husband. By the late 1980s she was on the other side of the continent, hunting and seducing in New York City under yet another name—Rachel—but with little sign any more of Katia’s personality. Interestingly, her prey still only sometimes turned into vampires themselves, although one memorable victim named Peter came to believe he was undead [Vampire’s Kiss motion picture]. In the annals of Karnstein, the curious tradition of naming females with an anagram of Millarca arose. Precisely why remains a mystery. Most common ended up being Millarca, Marcilla, and Carmilla. Given that it seems each and every holder of these names became a vampire, one wonders if this was some kind of sign? Perhaps the family assigned such to the children destined to be the brides of their undead patron? If so, how was such chosen? A lottery? We may never know. Millarca I journeyed from Paris to Rome in the year 1460 CE. She sought a dispensation from Pope Pius II to wed her cousin Leopold. This dispensation was only won upon Leopold agreeing to take part in a Crusade. However, this Crusade ultimately never took place. Leopold served His Holiness faithfully, and received lands as well as permission to marry Millarca. They settled there, founding an Abbey as well as the Italian branch of the Karnstein family, which interbred with the Austrian branches several times over the centuries. But Millarca I seemed destined to reincarnate again and again, ever seeking to marry Leopold once more. As Millarca II she died in Leopold’s arms in the 18th century. Her tomb was almost desecrated by a peasant's revolt in 1765, led by a local priest. Her beloved's namesake Leopold of that era hid her grave. He later became engaged no less than three times, each of his fiancées dying at Millarca's fangs before they could actually wed [Blood and Roses motion picture]. 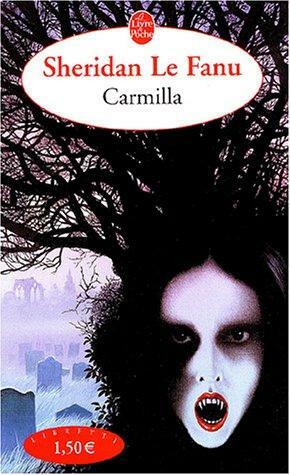 Soon after the Second World War, a Carmilla Karnstein became possessed by Millarca (see below). Little is known about Mircalla I (1522-45) save that she met her final death at the blade of General Spielsdorf in 1819. Apparently, she was one of those undead who disliked her state, felt some measure of guilt over her actions, especially the hunting down and draining of young women she first befriended. She even tried to take her last victim, an expatriate English girl named Emma, with her. Certainly this Mircalla's tomb was in Castle Karnstein, one of those few missed by Baron Hartog on his vengeful spree in the year 1794. Curiously, she apparently was under the control of an older male vampire, at least during her last active period. When finally destroyed, the portrait of her in Castle Karnstein suddenly aged and withered, becoming that of a fanged crone, then a skeleton. One must wonder if perhaps that portrait provided some means of controlling her? As to the identity of the male vampire watching over and controlling her, the most likely candidate would be the ancient undead known as the Patriarch [The Vampire Lovers motion picture]. Mircalla II died just two years after her namesake, which meant they must have been contemporaries. This lady showed little or no hesitation as far as feasting on human blood was concerned. Sometime prior to 1780 she entered into hibernation, waking only when Count Damien Karnstein dared to commit human sacrifice in an effort to raise her. She rose and lay with him, then slaked her thirst on his blood, transforming him into a vampire like herself [Twins of Evil motion picture]. What happened to her afterwards is something of a mystery, although it is at least possible she and Carmilla III are the same person (see below). Countess Mircalla III (1679-98) was woo'd and then attacked by a vampire after a ball. Many Karnstein females fall into the voluptuous blonde type, but others--like the third Mircalla--were darker, often rather exotic in appearance. A haughty young woman, she nevertheless seemed to love at least some of her victims. As a matter of record, a former (male) lover of hers named Vordenberg hid her grave but upon reaching old age, thinking better of his actions, left instructions about where to find her. A Vordenberg descendant believed he did so, and destroyed her [Carmilla by Joseph Sheridan Le Fanu]. In fact, Mircalla (who used the aliases Carmilla and Millarca at one time or another) had substituted a peasant girl for herself. She then wandered for many years, until finding another girl to love--in Chicago circa 1996. She turned this girl, Lauren, but she ended up leaving her maker alone in Europe [Carmilla The Return by Kyle Marffin]. A decade or so later, Mircalla was spotted in Paris where she again fell in love, this time with an American student who came upon her feeding after midnight. At last report, they remained in Paris, which became their hunting ground [Paris Je T’aime motion picture]. Evidently this lady is fascinating as well as beautiful, having won the hearts of so many in her long life. Mircalla IV (sister to Damien Karnstein) married a Spanish nobleman in 1772. She eventually murdered him. According to legend this was because he made her do "unspeakable things." Given that two centuries later the family has no portraits of any female ancestors, this seems believable. Exactly what happened in the aftermath of this murder is not clear, but she herself becomes a vampire. She was last heard of at the estate of her husband's family, where she seduced the wife of the descendant of her husband, as well as a schoolgirl. The husband killed all three by cutting out their hearts and was arrested. Given that Mircalla IV was only a vampire and not a vampire-witch like some of her kinswomen, it seems likely this was the true death for her [The Blood Spattered Bride motion picture]. Carmilla I Karnstein was sister to the notorious Count Prospero, and like him died feeding the thirst of the vampire known variously as the Patriarch or the Red Death in 1710. Either Prospero, or perhaps the Patriarch himself, resurrected her in 1830 (or maybe a soul-clone of Dracula-Prime, seeking to wrest control of the Karnsteins from the Patriarch). She masqueraded as a student at a local private girl's school, using the name Millarca. At that time she seduced and drained more than one of her fellow students, as well as a would-be occultist professor who guessed her identity. But another teacher she entered into a relationship with, without feeding upon him. At this time, a well-armed mob attacked Castle Karnstein and burned it, leaving it a ruin. One eyewitness claimed her heart was pierced by a falling wooden beam [Lust of the Vampire motion picture]. She may, however, have been resurrected at a later time, as someone matching her description and giving the name "Carmilla Karnstein" was reported more than a century and a half later in the United States, and at that time serving a cult that worshiped the Old One known as Cthulhu [see The Mall of Cthulhu by Seamus Cooper]. Was this the same Carmilla? Difficult to say, not least because of other such vampiresses named Carmilla. Carmilla II (so called for sake of convenience) never once gave her name as Karnstein. But circa 1850 she became part of the household of a plantation in the American South. There, typical of so many vampiresses of that family, she seduced the daughter of the house, Marie. It turned out Carmilla had visited many years earlier, and turned Marie’s mother as well. Upon discovering this, the girl helped her father destroy a nest of the undead, including (eventually) Carmilla, who died with Marie's name on her lips. Yet it was too late, as Marie becomes a vampire herself. Her own eventual fate remains unknown [Nightmare Classics: Carmilla t.v. film]. I do, however, have a theory about this specific Carmilla's identity, which makes her a Karnstein by blood but not by blood relation. It goes back to the early 1800s, not long after the Napoleonic Wars. At that time a young woman named Carmina had just married a Captain Hans Broken. Due to a peculiar set of circumstances they ended up spending the night at the castle of one Countess Karnstein (fictionalized as "Kronsteen"). The Countess was destroyed--but not before she seduced and turned young Carmina, after persuading her that the Captain had already been unfaithful. The young lady, like the Carmilla of three decades or so later--and on the other side of the Atlantic, was a doe-eyed brunette with a waif-like air [Dr. Terrible’s House of Horror: Lesbian Vampire Lovers of Lust t.v. film]. Her maker's identity remains harder to pin down, not least because as yet her first name remains unknown. However, it remains possible she also was a Carmilla (whom we might as well call III), the chosen bride of one of Dracula's soul-clones who later encountered the fourth Batman in Brooklyn, and sought to resurrect her [see Batman vs. Dracula motion picture]. Carmilla IV was certainly a Karnstein, the only daughter of Count Konstantin Karnstein, originally of the Hungarian branch. Her grandfather had ultimately inherited the title after the main branch in Styria went extinct. She herself was raised in Italy after the First World War, with her cousin Leopold. Sadly, this led ultimately to her possession and destruction soon after the Second World War ended. She discovered the hidden tomb of Millarca I, becoming possessed by that vampire, and eventually killed in her name. Millarca meanwhile managed to possess Leopold's fiancée Georgia--an "unfinished business" which evidently allowed Millarca to rest in peace once her life with Leopold was done [Blood and Roses motion picture]. 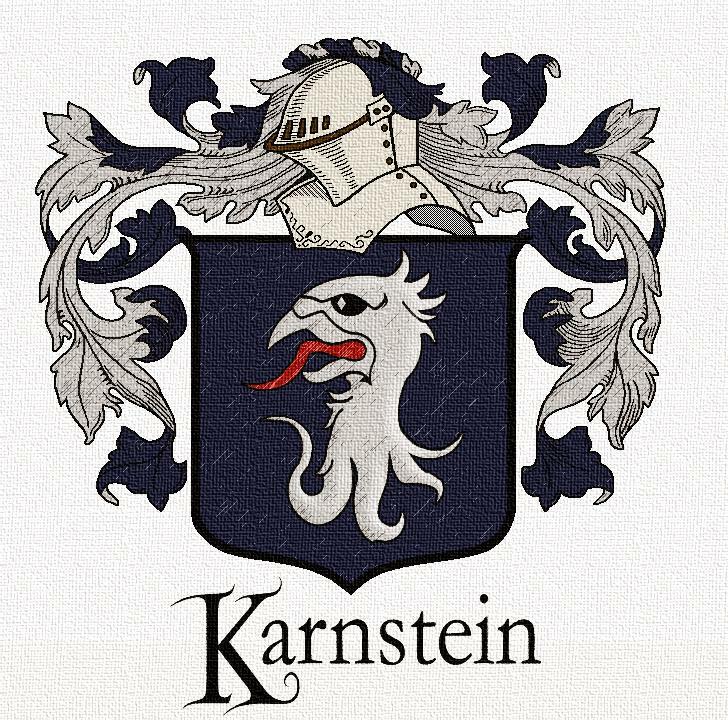 If the 20th century saw a fall to so many other noble houses, it should come as no surprise to learn the Karnsteins also faltered. While individuals of that family's bloodline--alive and undead--almost certainly walk the earth, the bitter truth remains that by the 1970s two young women would seem to be the last of that name. When the head of the Italian branch, Count Leopold, died in the late 1960s, his bride soon followed. It remains unknown whether he himself ever discovered his bride was in fact possessed by Millarca Karnstein, the vampire of centuries past. However, it remains certain that their daughter, Irina, ultimately inherited some aspect of the Karnstein darkness. Whether she was in some sense a dhampir (i.e., the hybrid offspring of a human and vampire, the most famous of these being Eric Brooks, a.k.a., Blade the Vampire Hunter), or perhaps one of the last Karnsteins to suffer the kiss of the Patriarch, or something else entirely, must remain a matter of speculation. Yet there are facts that have come to light. Born in the late 1950s, she was young when coming into her title and wealth. A strange, melancholy person, she in fact chose for a considerable amount of time to remain mute. Even when interviewed by a journalist in the Riviera, she refused to actually speak. That journalist later turned up dead, as did numerous others in the vicinity of Irina. Reading their autopsies makes for a strange experience. Most seem to have died of shock, not only to blood loss but also from what one coroner called "sexual excess." At any rate, the Karnstein reputation by now had grown much too intense [Erotikill motion picture]. In the early 1970s Irina vanished from Europe. Evidence suggests she changed her name and enrolled in a Canadian private girl's school under the name "Enessa." She stayed but one year, during which time a teacher and two students died--and at least one dog was found on campus more or less ripped to shreds. One student fatality had lived across the hall from Enessa's room. The two had grown close. This girl, Lucy (a very unlucky name for women who encounter the Undead), was said to have perished of severe anemia. The point should be made that Lucy's best friend had a nervous breakdown at the end of the year--she also noted in a personal diary how Enessa hardly ever ate anything, while always avoiding the sun. Meanwhile, the teacher who died suddenly (her autopsy report remained confidential) had evidently disliked "Enessa" intensely, and punished her [The Moth Diaries by Rachel Klein]. What happened next remains speculative, but she seems to have fallen into the company of one of Dracula's soul clones, quite possibly none other than a melancholy and despairing Lejos. Once a Hungarian nobleman, then transformed into a puppet by the Prince of Darkness, he had seen his children brought low and his own efforts thwarted far too many times. After taking severe wounds from the werewolf Lawrence Stewart Talbot, sightings of this once-mighty vampire lord described him as withered and tired--still wielding great power and dignity, yet a shadow of his former self [Abbott and Costello Meet Frankenstein motion picture]. He had fallen in love with a gypsy woman, engendering a male child named Edgar. Lejos was one of the very few of Dracula's soul-clones who had this ability. Knowing he also had had a daughter (one he had in retrospect mistreated) he mistook Irina/Enessa for her and--perhaps longing for the family now gone--she went along with this pretense, even taking a new name for herself, Nadja. Lejos even gave her a Renfield as her personal slave. When one of the Van Helsings (probably an aged Adam Van Helsing, former lover of the mysterious Vampirella) managed to stake Lejos (permanently? Probably not), Nadja (a.k.a., Irina/Enessa) sought out her "brother" Edgar, the only person with whom she now felt any kind of emotional bond. Repeating her mother's experiment, she managed to use her own blood to possess Edgar's fiancée, in effect creating a human soul-clone of herself, while allowing Van Helsing to find, and then destroy, her body [Nadja motion picture]. At present, the ensuing events in this couple's lives remains unrecorded. Relatively little is known about the Spanish branch of the Karnsteins, save that they were known as Karlsteins, had the title Conde (or Count), and were viewed with extreme distrust by locals in the coastal area where their castle had been reared. Circa 1971, the heiress of the estate returned there as her aged grandmother lay dying. The heiress, Luisa Karlstein, found the sick old woman insisting on telling her the family secret--that they were the guardians of none other than Count Dracula! In fact, it seems much more likely the vampire in the Karlstein vault was a past Conde of that family. The old woman was very sick, after all. Luisa, visiting that very crypt, discovered there was indeed a nosferatu there. Under his influence, she even began to demonstrate vampiric traits herself! She even drank the blood of a girl with whom she'd fallen in love. Mysterious murders led a small band of amateur slayers to that very crypt, where they destroyed the coffins and their inhabitants with fire. Nothing more has been heard from the Spanish branch of the Karnsteins [La Fille de Dracula motion picture].